Pineapple fried rice is the significant dish of Thai cuisine. Because of the tropical weather, Thailand is famous with different types of fruit. 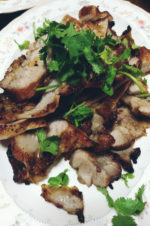 You can easy see Thai cuisine has different fruit ingredients. 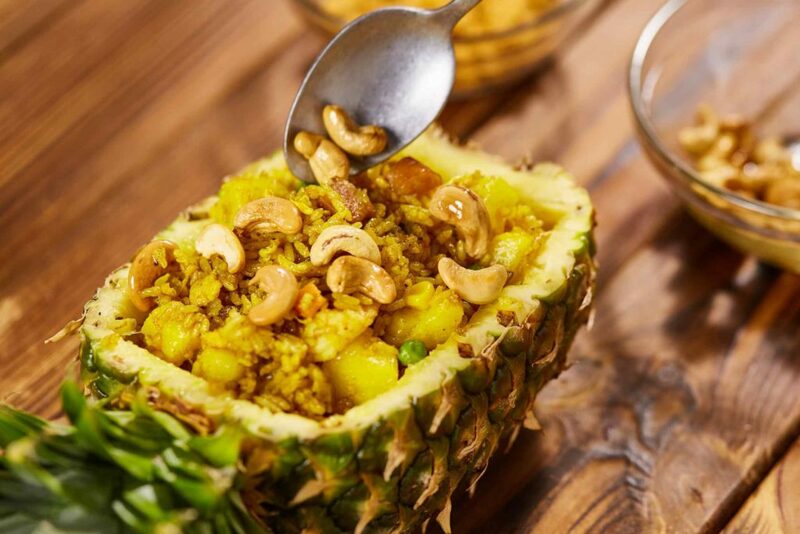 The sour, sweet taste and colourful appearance of pineapple easily increase your appetite. 1. 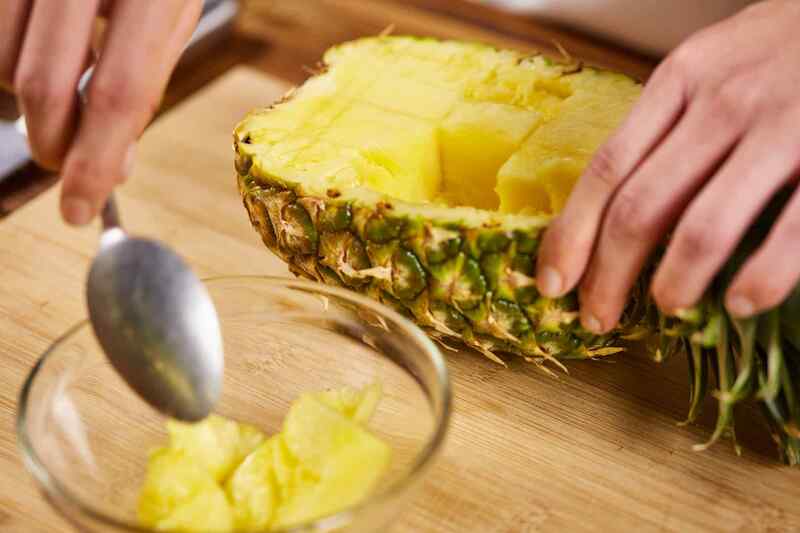 Cut the pineapple into half, take out the core of the pineapple with the spoon. You may do some little cut on the surface of the pulp to make it easier to remove the core. 2. Clean, peel and devein the shrimps, cut the shrimps into smaller pieces. 3. 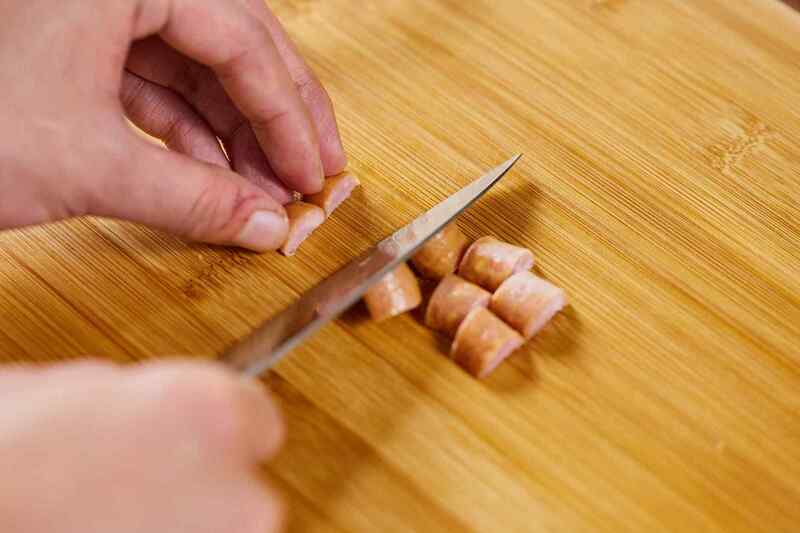 Cut the sausage into smaller pieces, put it aside for later usage. 4. 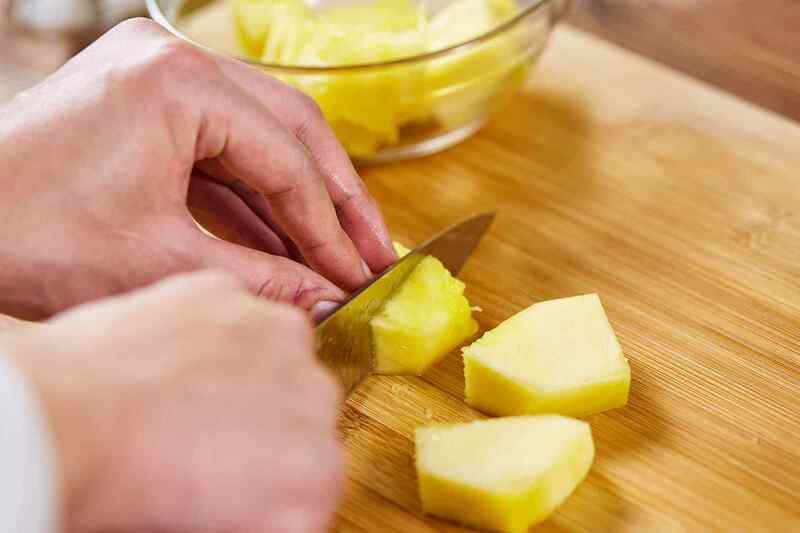 Put the pineapple pulp into smaller pieces, put it aside for later usage. 5. 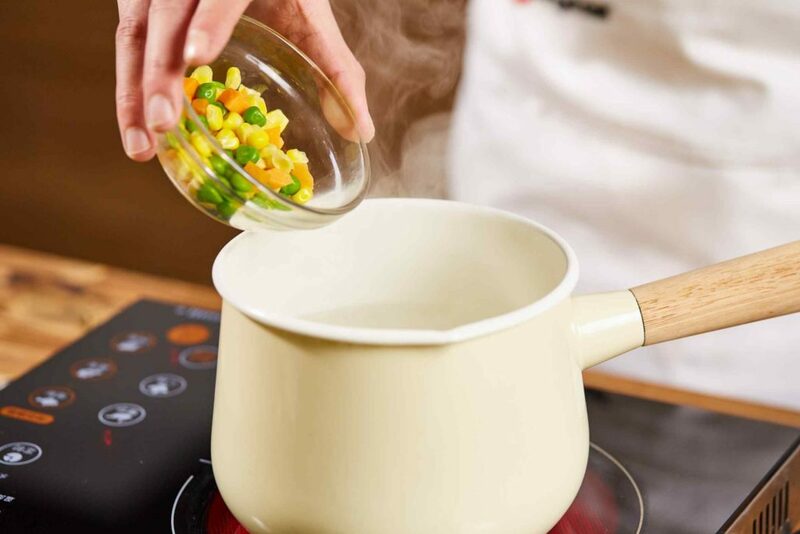 Boil water in a little pot, put green beans, corns and carrots, boil 30 seconds then take them out. 6. 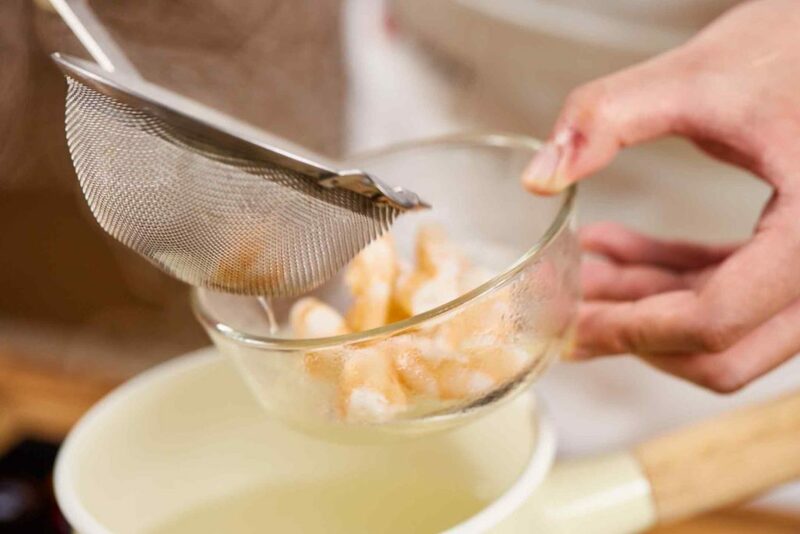 Boil the shrimp with the pot. 7. 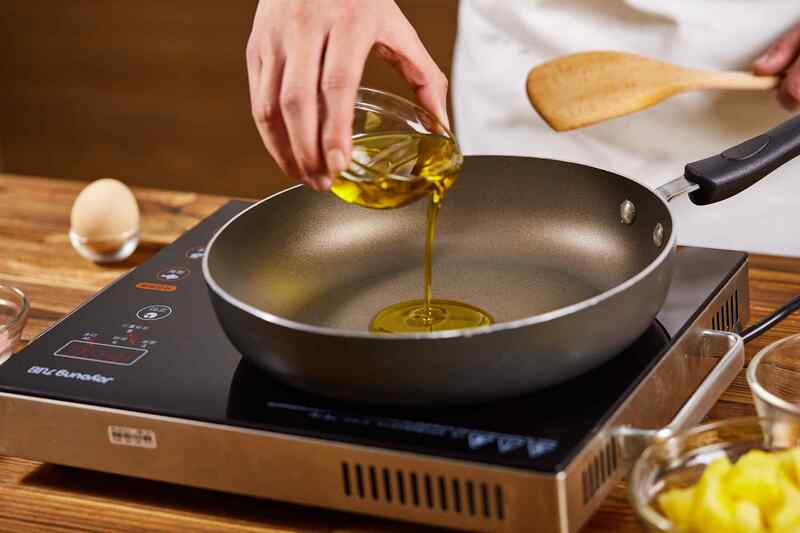 Preheat the pan, put oil, stir fry the egg wash, raisin and sausage. 8. 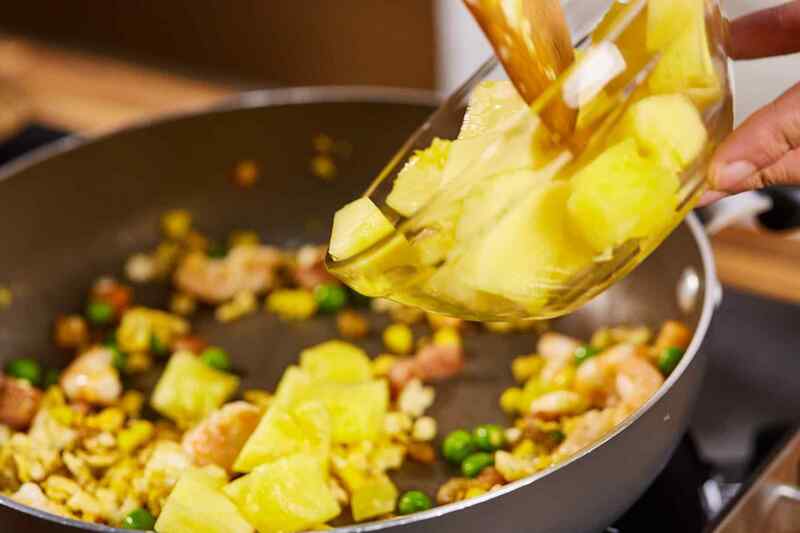 Add pineapples, beans, corns and carrots, stir fry them altogether. 9. 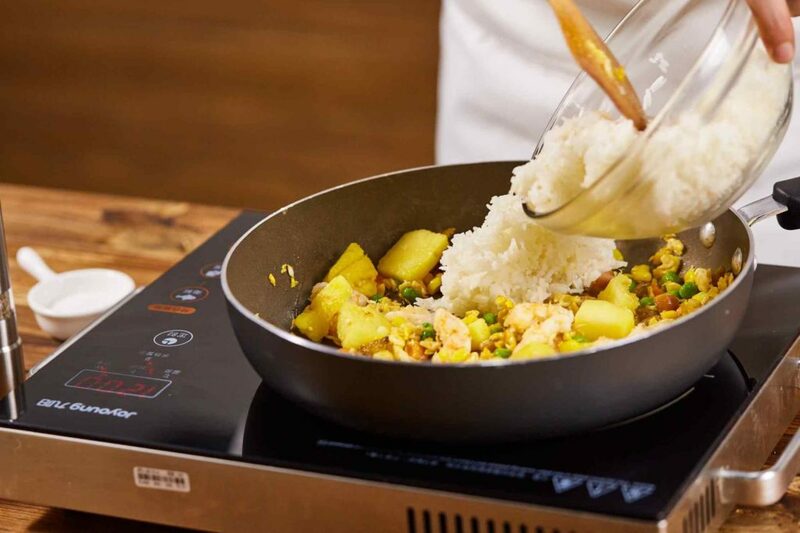 Put cooked rice and stir fry everything together, it is better to use day old rice. 10. 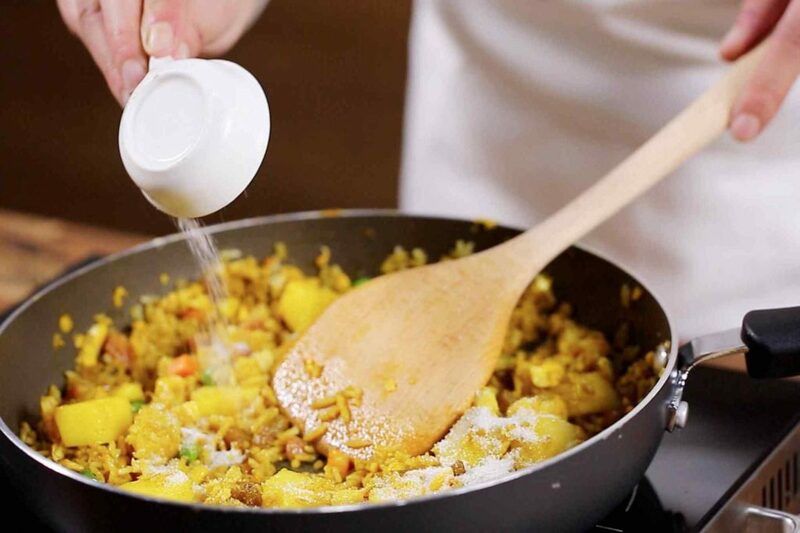 Add seasonings (salt, sugar, pepper powder and curry powder). 11. Put the fried rice into the pineapple shell, finally put flossy pork and cashews on the top for decoration.